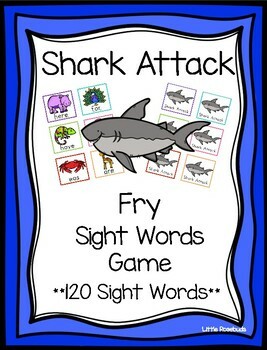 Practice the Fry 120 Sight Words with the fun game Shark Attack. 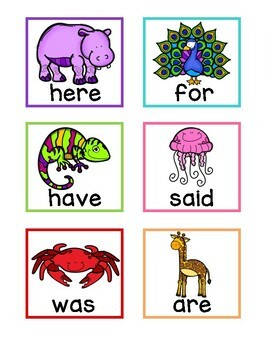 Simply print, laminate and cut out. 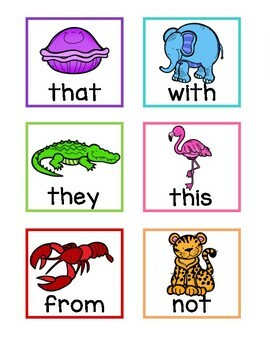 Great for review, reteach, and more. Students can play in partners or with a teacher in a small group. Students put all cards face down in a pile then flip the top one over. If the student can read it correctly they get to keep the card. Then it's the next persons turn and so on. If they misread a card it goes back into the pile. 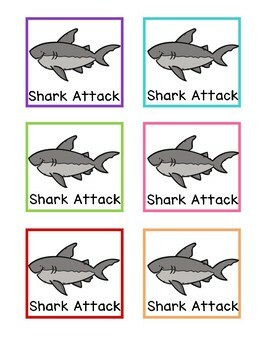 If they get a Shark Attack card all of those players cards get taken away and returned to the deck. The person with the most cards wins.